Lumberstak is dedicated to only using the highest quality materials to make their hand-crafted block games. These are THE lawn games to have during your reception. 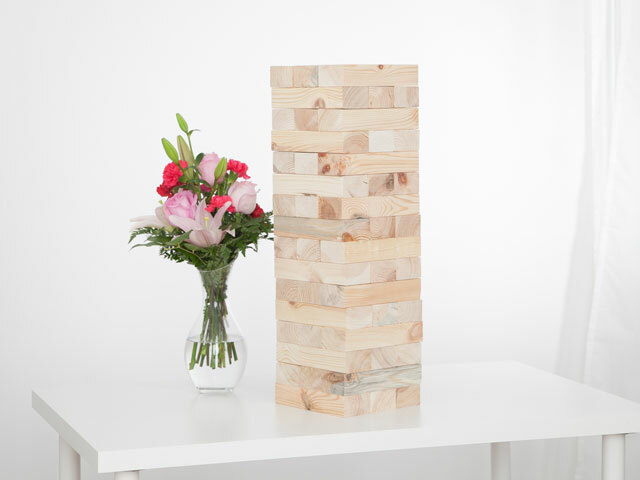 Inspired by the popular household game, this large version is perfect for entertaining your guests during your cocktail hour, and even doubles as a creative guest book to capture your all your wedding wishes from your guests.